Students will write how-to stories about getting ready for school and publish them to share with their families and to use at home. Everyone in your class is unique. Help them explore how they are similar and different by having them write books that describe how to get ready for school in the morning. This activity will help them find connections through shared activities and actions and give them a taste of creating their own informational text resources. Read, or reread, Alexander and the Terrible, Horrible, No Good, Very Bad Day by Judith Viorst. Focus on Alexander's problems as he gets ready for school. You may even choose to simply focus on this section or revisit it when students are preparing to write their own "Getting Ready for School" how-to informational texts. As a class, create a list of some of the things your students do when they get ready for school. Your students may come up with ideas like brush teeth, eat breakfast, get dressed, and feed the dog. It may take a while to get students to come up with specific steps, but once a few ideas are on the list, it will be easier for students to come up with them on their own. Using the class ideas as a foundation, have each student create a list the things they think should be included in a how-to get ready for school book. Have students use a beginning, middle, and end organizer to group together similar actions and establish a basic timeline. If students are struggling with events and order, have them write ideas on sticky notes. This will make it easy to change order and group things together, before working on a more official organizer. Once the students have completed their organizer, have them write complete sentences for each part of the how-to book. What should happen first? Next? Last? Talk to students about their writing to make sure they have included capital letters at the beginning and periods at the end. Ask them what they will draw on each page. Will their illustration support their writing? What can they add or change? How can they add to or change the picture? Have each student write and illustrate their story. If you have Wixie, students can use the Begin and End Book activity which includes a cover and 3 pages with a text box and room for a picture. 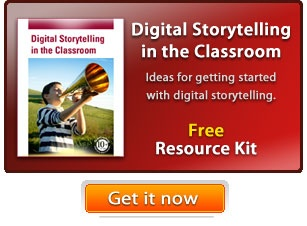 You may want to have an older student buddy or aide help students type their stories. Print out each student's book. If you are using Wixie, click the Send button on the toolbar, choose Print, and select the Booklet option to print all four pages in the project on one sheet of paper students can folder into a small booklet. Ask students to read their book to a buddy and to someone in their family when they return home. You can also publish student how-to books online. This is especially great if they have recorded their instructions. Link to each student's how-to book from your classroom web site to create your own how-to library. This way student work has a real-world audience in your family and community. Begin by evaluating student responses in your initial class discussion of things they do in the morning. How well are they able to break distinct actions apart? How many different things can they come up with? This will help you work with students who will need additional help creating their own list of actions and grouping them into beginning, middle, and end. You can evaluate student writing and grammar as they develop their list of actions into sentences for each section of their how-to. You can assess the final booklet for organization, grammar, use of illustrations to support text, and reading fluency if they have recorded narration.